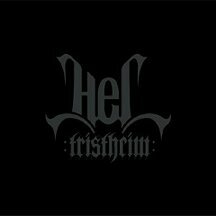 Hel’s Tristheim is a piece of music that most of people in the metal community don’t need. With a mixture of boring Empyrium and even more boring Dornenreich (in their rather quiet phase) with mostly German lyrics, this band tries to sound poetic and philosophical. In my eyes and ears the result is rather pathetic empty and really really annoying. The beginning is decent, with an acoustic intro, that creates a little bit of atmosphere, but the second song sounds exactly the same, and when the spoken and half sung words begin, the listener is definitively tempted to fall in an eternal sleep. In some songs a piano tries to give a little bit of colour, but even then, the songs remain in an anonymous grey that animates to throw the cd out of the window. The sound of Tristheim is really good, although I must say, that due to the complete lack of distorted guitar and drums, this undertaking reveales itself not to be difficult at all. The music is played well and without mistakes and the digipack and booklet are made with much love and attention, but this can’ t animate anyone to buy this album. I am very sorry to write such a bad review, you may call me stupid and unintellectual, because I am apparently misunderstanding the real deep meaning of these blackened dark souls. Sorry, I am a metalhead and such music sounds in my ears as interesting as the monotone sound of a passing nighttrain.